The battle paddles are made for racing and touring. Since 2016, the range benefits from three new blades whose shape has been particularly optimized to meets the requirements of the most demanding riders. A new narrower and deeper outline, featuring parallel sides enables to increase the stroke frequency while achieving a higher output. 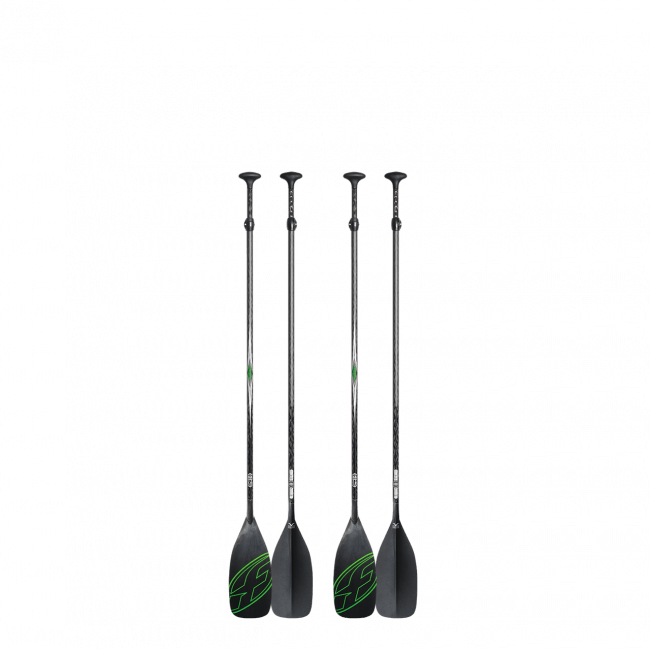 Paddling has simply become easier and faster. The amount of spoon on the blade has been refined to increase the catch without penalizing the exit from the water. 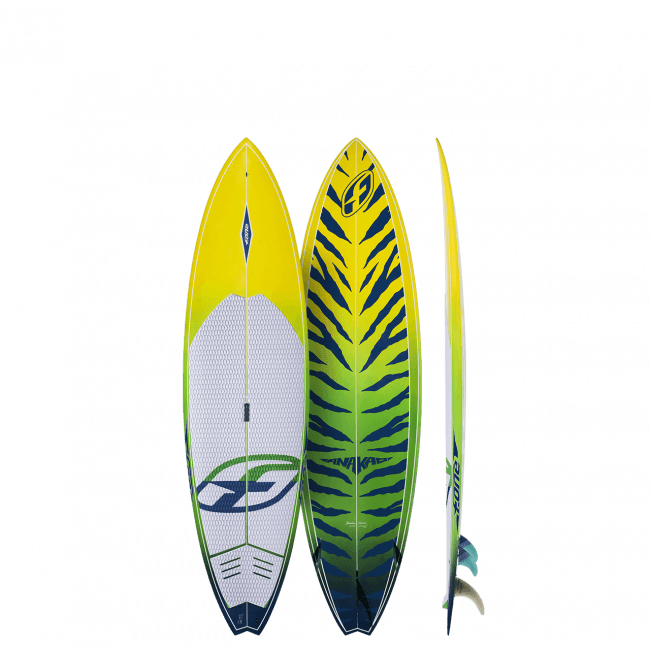 This blades also features the new V DOUBLE CONCAVE section shape which increases greatly the blade stability during the stroke, leading to less fatigue and better efficiency. The BATTLE also features a new thinner shaft diameter with slightly more flex to paddle more easily on long distances and with a better hand grip. 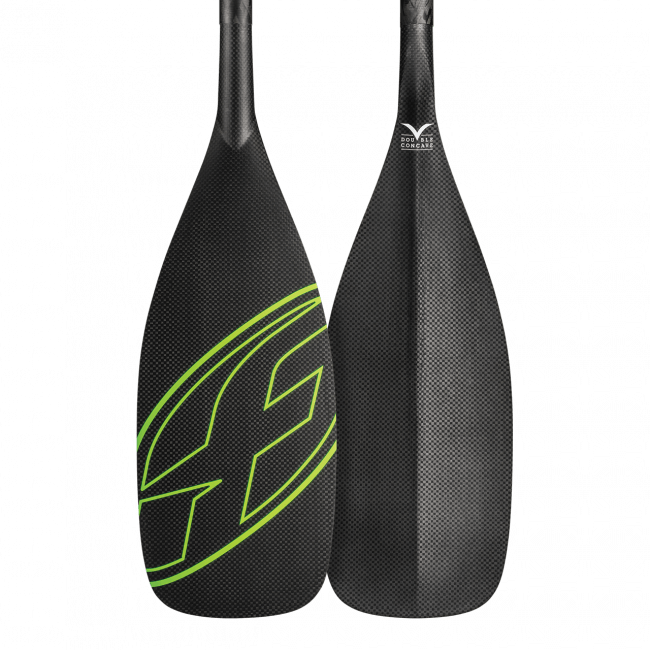 Available in CARBON HYBRID and 100% carbon constructions, the BATTLE paddles will keep yourowing faster and for longer. 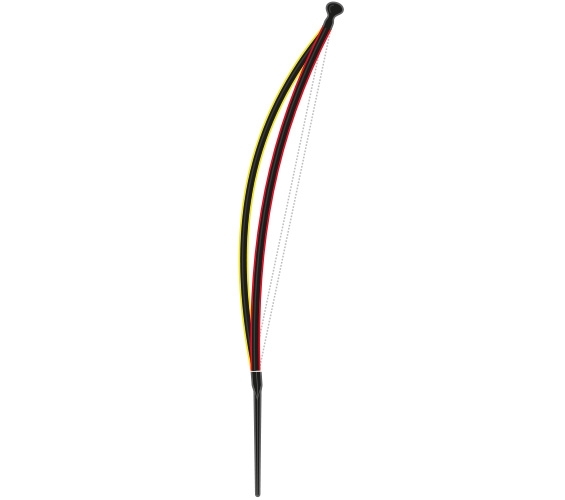 Short and wide, it offers an immediate power from the catch, a frank support and continuous thrust. It will be rather used for Cruising and in Long Distance, where more power is needed. 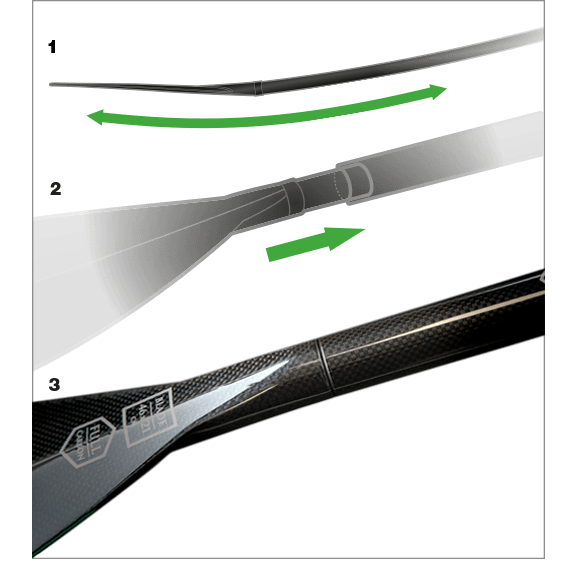 To ensure a consistent flex (1), with no hard point on the entire length of the paddle, the blade has to fit inside the shaft (2). Another advantage of this connection is the absence of external joint line that could damage the rail of the board (3). 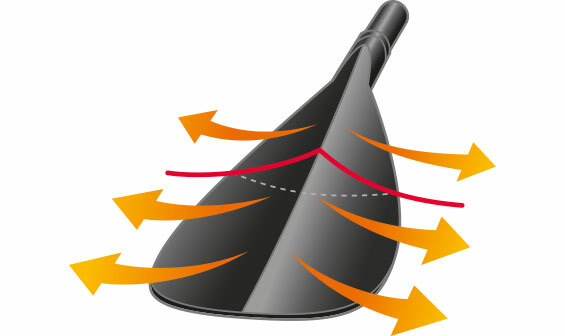 The non-skid finish is a “soft touch” varnish that makes the paddle non slippery when wet. 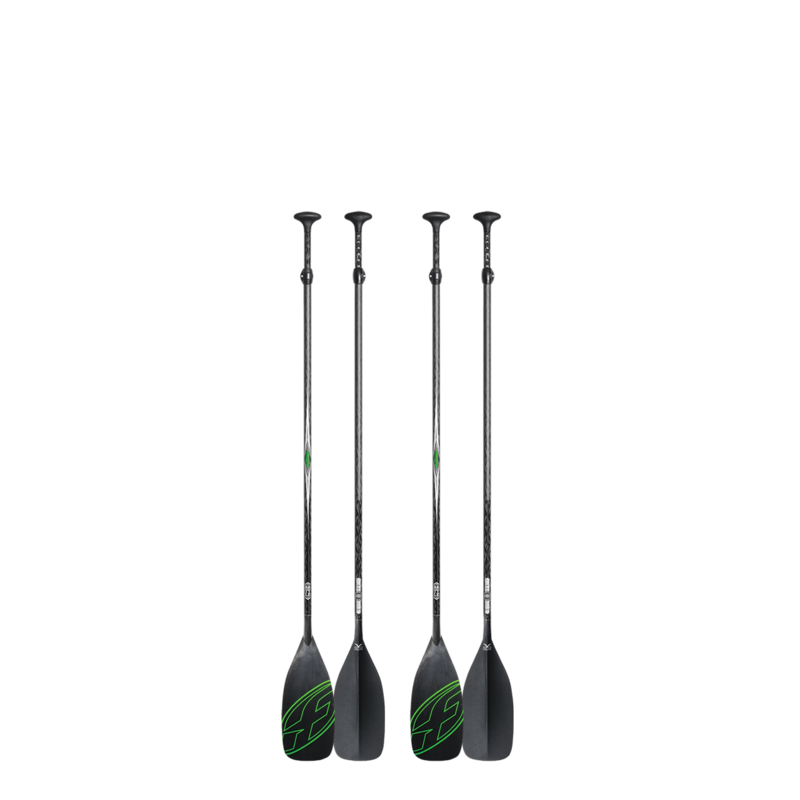 This allows the rider to focus on paddling instead of wasting energy in an effort to stop the paddle from slipping. The grip is especially strong when the paddle is wet. 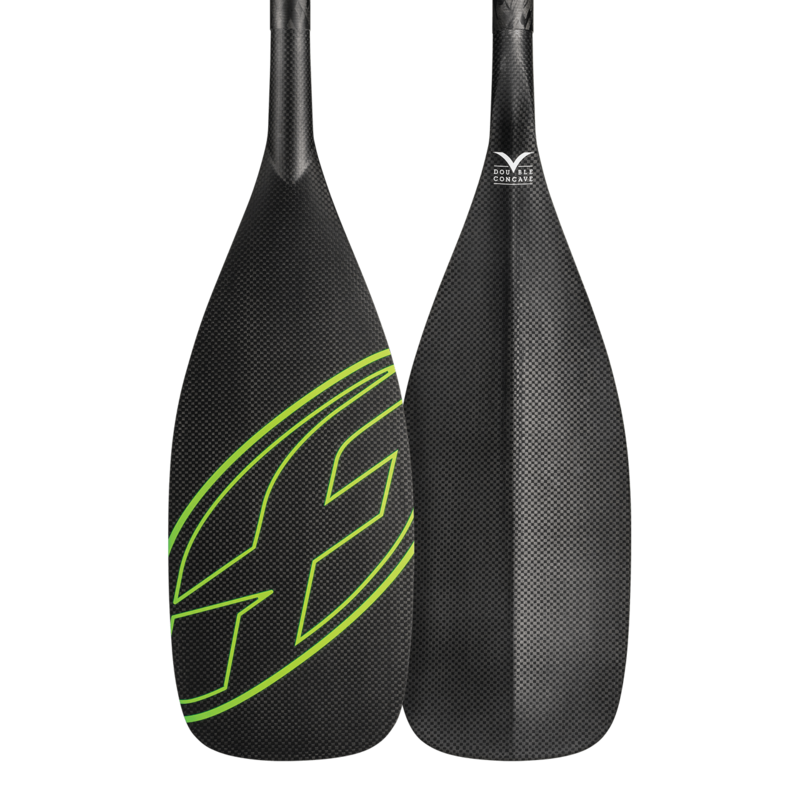 All our paddles incorporate in its blade construction an ABS edge whose purpose is threefold. 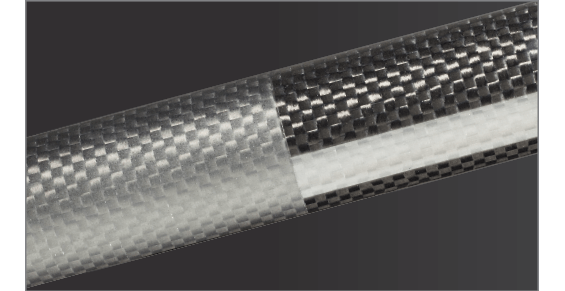 It protects the blade, participates in its structure and sealing, and is less aggressive to the rails of the boards.